Let me guide you through the poker maze! Does it sometimes feel like poker is an impossible maze? So many decisions to make, every one of which might turn out to be wrong; a dead end forcing you to start back at the beginning, all over again. It's not unusual to feel lost while playing poker or when reviewing one's game. But what if you had someone with you who had already been through the maze many times before? Someone who could show you not only the correct path, but also how to find your way through the next time around. As someone who started from the very bottom, playing 5c/10c cash games and $1 sit and goes, grinding up through the limits to a five figure bankroll, through all the trials and tribulations of Black Friday; and with over 100 students and 300 hours of SNG coaching already provided, I'm uniquely placed in the online poker industry to help you find your own poker destination. As you scroll down please read some of the testimonials for my SNG coaching, check out the sample video and have a look at my results as well as those of my students. Hopefully by the time you’ve reached the bottom we will have answered all your questions and you'll be happy to let me lead you through the poker maze! "Had a few sessions now with Tim and he is very easy to talk to and has a very good understanding of the game and delivers clear concise explanations. His help has increased my ROI and in the money finishes. Cheers Definitely recommend"
"Had my first coaching with Tim today and he found a big leak in my game and explained why my thinking was so wrong. He even ran way over time just to make sure I had the concepts in my head. AAA+ coaching Big thanks Tim"
"Had two coaching sessions with Tim64, and must say it's VERY +EV. He explains certain concepts with great clarity. Has a calm cool head, is very polite, and has no problem going overtime if need be. Will be a student for a long time to come, and hope to continue learning lots." No advance payment required. Choose the best time slot for You. Why would you choose me as your poker coach? My field of expertise covers the gamut of SnGs on all platforms where such games are found. From Full Ring to 6max, regular speed to hyper turbos and even including the latest offering: Spin & Gos or other "Jackpot" SnG formats. Knowing what to play, given your particular skillset, is something I can advise on, as well as helping you with decisions on ensuring an appropriate bankroll for your chosen game/limit. We'll get to grips with exactly what it takes to be a winning player in the given format and begin the process of TURNING YOU INTO ONE. Once into the nitty gritty of playing SNGs profitably we're going to be fine tuning your game from the outset. Which hands to open, and why, including opening ranges for different formats. Blind structures, and why they matter. When to defend from the blinds, and against whom. Ideal 3-betting ranges, from different positions. ICM application, including future game simulation and software options. When to pass up on small edges and when to push every edge possible. Post flop hand reading, including value maximisation, inducement and semi-bluffing. "First coaching session with Tim today was an absolute pleasure. Tim booked me for a time that suited me and his method of teaching was exceptional. Tim will explain why something does or does not work and in a way that is easy to understand. I booked in for one hour of coaching, we went through lots of hands and Tim went over the 60 minutes so that we could look at some hands from another game which was awesome. We focused on a number interesting topics some I was familiar with and some I had never even thought about before and it was real eye opener for me. I won't go into the actual topics but I will say the leaks that I noted down at the end of the session are quite substantial. The price for Tim's coaching is exceptionally good so if you are looking for a coach I would strongly recommend him. I will be booking more sessions and getting ready for 2015." Technical ability and being able to pass on those concepts to the student are of course a must. But a good poker coach is something much more: a mentor, a confidant, a friend. Poker, unlike many pursuits, is an unusual marriage of psychology and math. Many good players know what they should be doing in theory but have difficulty managing tilt or dealing with downswings and other setbacks in practice. I am able to use patience and listening skills to get to the bottom of whatever it maybe that is holding you back. Needing some help with the mental game doesn't make you weak, it simply means you recognise that poker is a multifaceted skill. You understand that strength of mind is as important to success as knowing what to do when you turn a flushdraw in a heads up pot. Pay for 3 hours of coaching and I will make you a free personalised hand history review video uploaded to YouTube for your own private use! "Just had my first coaching with Tim. I've only been playing the hypers for maybe 3 weeks or so, but what we went through was exactly what I needed to start looking at my game a bit more in depth and was explained in such an easy to understand way. Any questions I had were met with a great response and he was even happy to go over a little to finish reviewing the game we were on - wasn't just looking to finish it asap to finish up. Very happy customer and no doubt ill be looking for more support in the new year. "Had 5 hrs coaching with Tim64 and was very impressed with what I got. I Have had a few coaches and Tim has honestly been the best help off all and explains things very deeply and clearly. I consider myself to have a decent knowledge of the game and Tim was still able to find some things to help me with. He is a great player and has a great mind for the games he plays. Highly recommended"
"Had my first two hours of coaching with Tim yesterday and he had the ability to explain things very well. He's constantly asking questions about why you're playing the hand as you play it, pushing you to observe your opponents more, so you can find loads more spots to play a hand under the right circumstances. I'm so happy I booked an additional third hour to review all games played between the two coachings and I couldn't be happier that it only costs me 15bi. That and I love English accents"
Q. How will coachings be conducted? A. Coachings take place over Skype, so you'll need a microphone. Coachings will normally involve a hand history review. We will use your database to review your recent games. This will be carried out on your computer, using screen sharing software such as Skype, teamviewer, or joinme. If you don't have a database, you can send your hand histories to me in advance and we'll review them on my computer. A. Payment in US $ by Pokerstars player transfer is ideal. You can also pay by Skrill or PayPal if you prefer. If you'd like to pay using another method, please let me know in advance of the coaching. Q. How long does a coaching session take? A. The standard unit is one hour, but longer (or shorter) sessions are available if you let me know in advance. You can also use the booking tool accessed via this site to book the session with your preferred duration. Q. Is payment in advance required? Q. What if I'm not satisfied? A. If for any reason you are unhappy with any aspect of the coaching please let me know and I will do all I can to remedy matters. If you're still not happy I'll refund any advance payment made. Q. Can you watch me play? A. Sure! One great way to improve is for me to watch you play a session of your normal games. I'll note hands where you could have improved your decision making and offer an overall review of your game at the end. Q. May I record the session? A. I'm happy for you to record the session to review again in your own time, as long as you don't share the recording with others. Regrettably, I can't record the sessions myself, due to video-processing time constraints.
" I was already winning SNG 9m/18m player starting to play 30s+ and I wanted to learn smthing new, esp. get much better thinking process, how to be able to get much more information and how to benefit from it, how to think about postflop lines, about my oponents, what they could think based on their stats and tendencies...how to get a little bit outside of my routinne box. I also remember I played in an autopilot mode, esp. low blind lvls, where I did not get as much value as possible and Tim was definetely one of the impulses I started to think more deeply and get out of the auto mode. I was really satisfied with his coachings, I learned a lot definetely." "I have taken part in a couple of coaching with Tim and also had some leakfinders made by him. He has a good understanding of the game and tries to find the smallest of leaks aswell as the bigger once. Very nice person to work with overall!" "Had a coaching session with Tim and some broad discussions about the nature of 6max SnGs. recently. I have to say Tim impressed me with his effort to understand my line of thought and help me improve my own decision making. I recommend his coachings to everyone who's trying to adapt his thought process to improve his game, I've benefited from his experience greatly." Just wanna share my coaching experience with Tim. I can basically wrap it up in one word which is "Awesome"! I like his punctuality, and being able to explain everything thoroughly, clearly, and def. knows how to treat his students well. I have plenty of leaks which is impossible to fix all in just 5 (+1 free) a few hours. However, Tim has been able to share his expert knowledge and fix a lot of my major leaks, and it was def. worth it all. Afterwards, my graph and ROI have been clearly going in the right direction. So all in all, I highly recommend you to try Tim out as your (new) SNG Coach." " I was a breakeven 7$(6max turbos) reg when I started working with Tim. Was staked and coached through all of 2014. You can be sure Tim is gonna help with any topic, I never caught him "off guard", never got an unclear answer. Can't imagine there are many better coaches for 6max turbos out there and he can definitely help with any other SNG and MTT format. Only thing Tim can't teach you is how to run good. Tim is the guy you need to talk to if you want help in improving your SNG game. And trust me, you'll only realize how much help you need after you see him at work." " after 3 coaching sessions i really got shocked when i saw how fast my game and my results improved. Tim definitely has great determination to find the weaknesses on your game and explains why you are doing wrong very clear. Whatever stakes u are playing it is totally worth trying for. After 3 coaching sessions my roi improved almost twice. Also his speech is perfect very easy to understand even if your english not so good. I am very lucky that i found this guy.. Thanks Tim. best wishes..."
I hope the content on this site, my Youtube channel, and the coaching videos on PokerStrategy.com have managed to whet your appetite for knowledge. Employing an online poker coach is something of a leap of faith, I know. You want to be sure you're going to learn something new, that adds real value to your game. Well, it's this simple: if you take SNG coaching with me, I will teach you the skills I have used to beat the online game. I will help you to understand how to adapt your game to different opponents and to become as unexploitable as possible. I will help you to deal with the phenomenon of tilt and the setbacks caused by variance in poker. And I will assist you in unearthing your true potential as we solve the poker maze, together. Wherever you want to go with your poker career I will get you there! So why not take your poker journey to new heights with SNG coaching? Learn New Skills. Control Emotions. Crush The Competition! onthestoop poker coaching is the home of the most dedicated poker coach on the planet. Wherever You want to go in poker: LET'S GET YOU THERE! 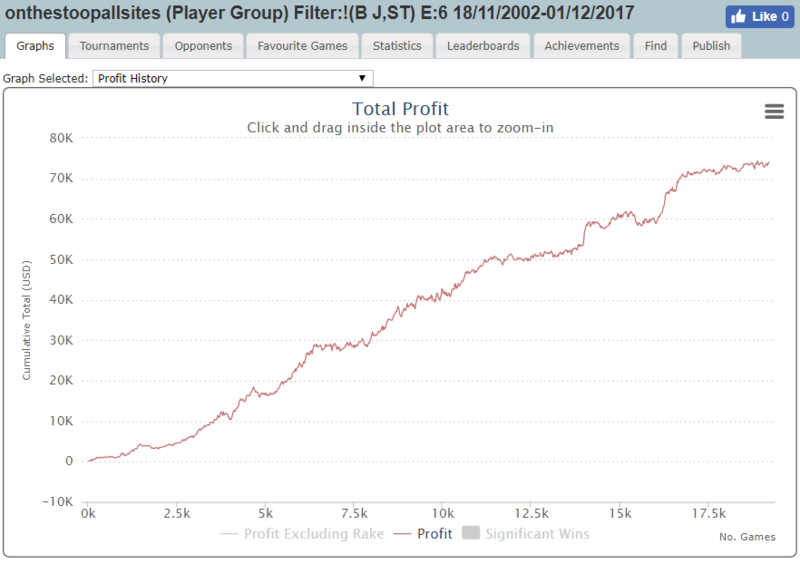 For a free poker education and free starting bankroll of $50.00, why not visit PokerStrategy.com, where I am SnG coach, Tim64. Follow my activity on the web and please say Hi!